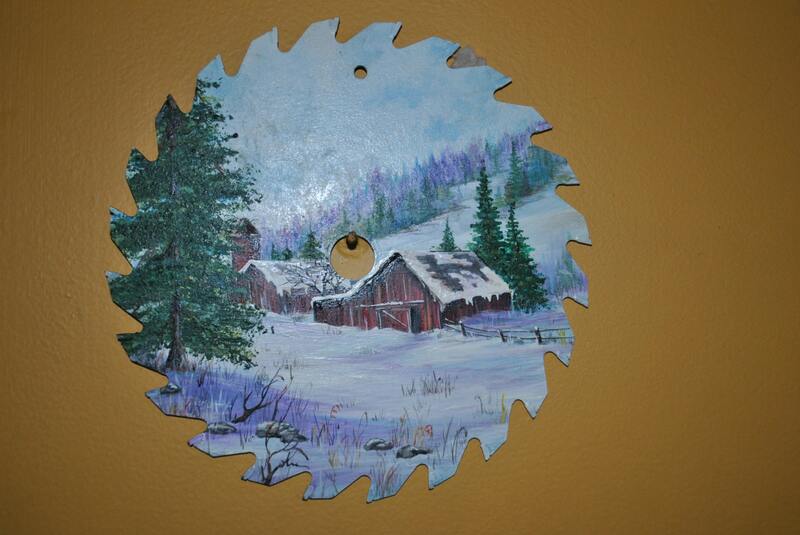 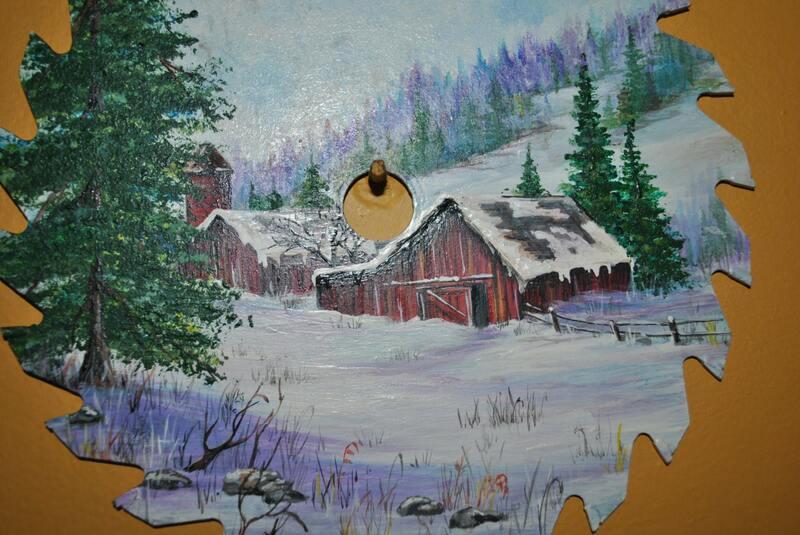 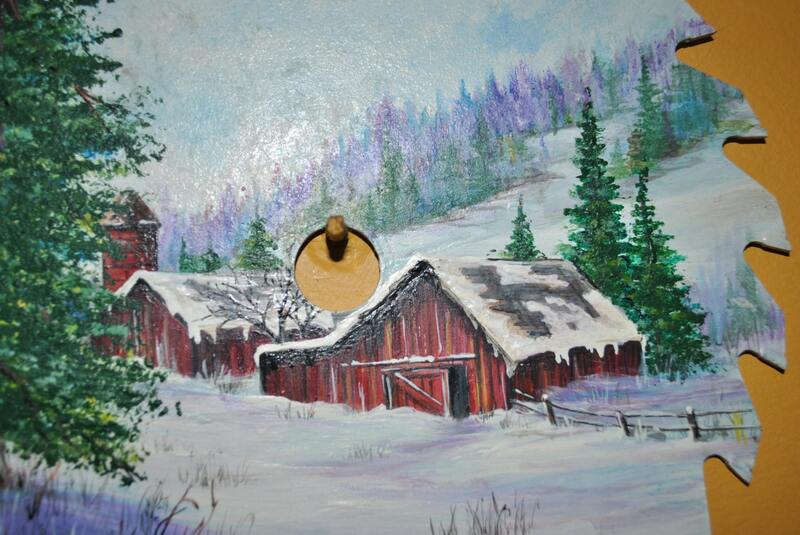 Hand Painted 7 inch Saw Blade with Wintry Barn Scene. 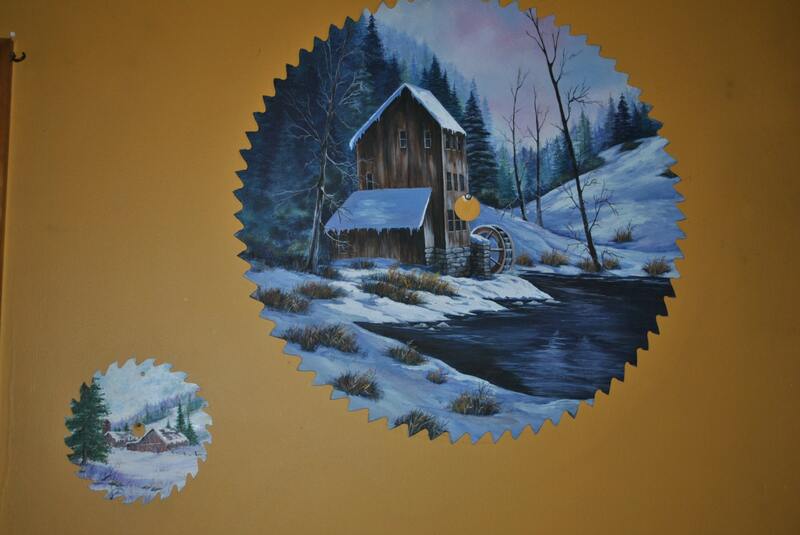 SOLD... 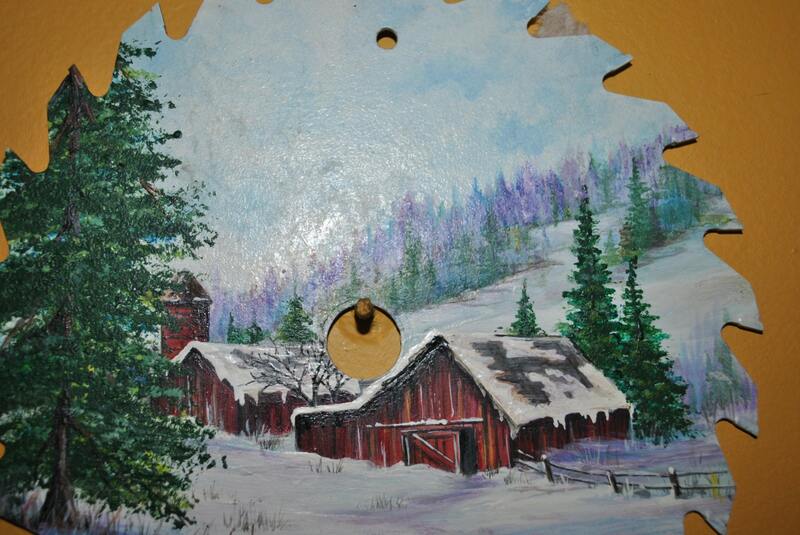 IF YOU WOULD LIKE ME TO PAINT SOMETHING ON SOMETHING YOU OWN, OR IF YOU WOULD LIKE A CUSTOM SAW BLADE JUST EMAIL ME.